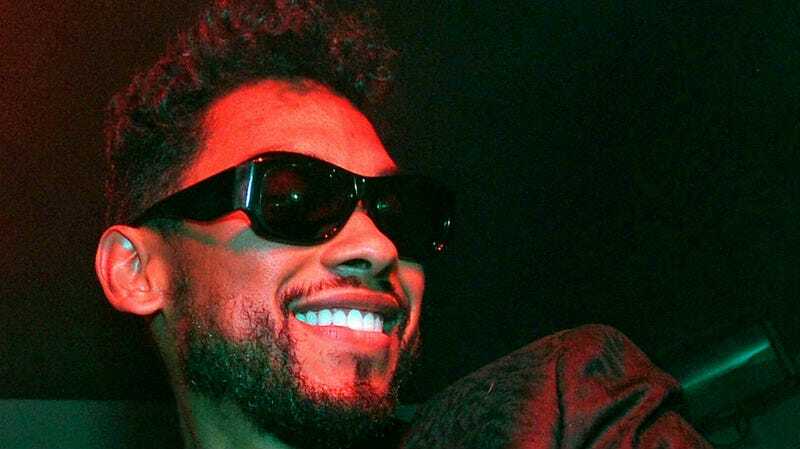 Is West Coast love god Miguel feeling a lil' way post- D'Angelo drop? Probably not—he's as big a fan of the hallowed soul singer as the rest of us—but it's kinda interesting timing that he would sidle up to Soundcloud and unexpectedly release three new tracks like *whistles*. Either way, this translates to a very happy December for you and I, and especially people in new relationships cause you're gonna wanna make out to all of that. Some people are being more formalist and calling this a three-track EP and that's fine. His first new songs since 2012's excellent Kaleidoscope Dreams, it begins with "nwa"—"a lil somethin' for the OGs—which features Tha Dogg Pound OG Kurupt rapping about a silky-skinned honeydip and Miguel, who is Black and Mexican, cooing in Spanglish about how the "a" is super-terrific for hollering at lovely ladies. It's a loping earworm on Miguel's minimal guitar and a classic Los Angeles gangsta synth of the classic Dre/Death Row variety, the kind that sounds best when you're pushing a donk under rows of palm trees, or at least the platonic ideal of driving around LA (cause that's all you guys do there is drive, right?). The last track is "Coffee," a snippet of which we've heard before, and is another in Miguel's oeuvre of total and perfect romance, where he details the unfolding of something brand new: "Pillow talk turns into sweet dreams/sweet dreams turn into coffee in the morning... I don't wanna wake you, I just wanna watch you sleep." Seriously, dude, could you get any more romantic? He is talking about SMELLING SOMEONE'S HAIR. WHY ARE YOU DOING THIS TO US, UGHHHHHH. Guess this is yet another reason Miguel is the swoon king of Southern California. Praying for a new album soon, but until then, these tracks will be heavy in rotation with Black Messiah and The Pinkprint.